Senaga Island is a small island connected by a land bridge to the main island of Okinawa. 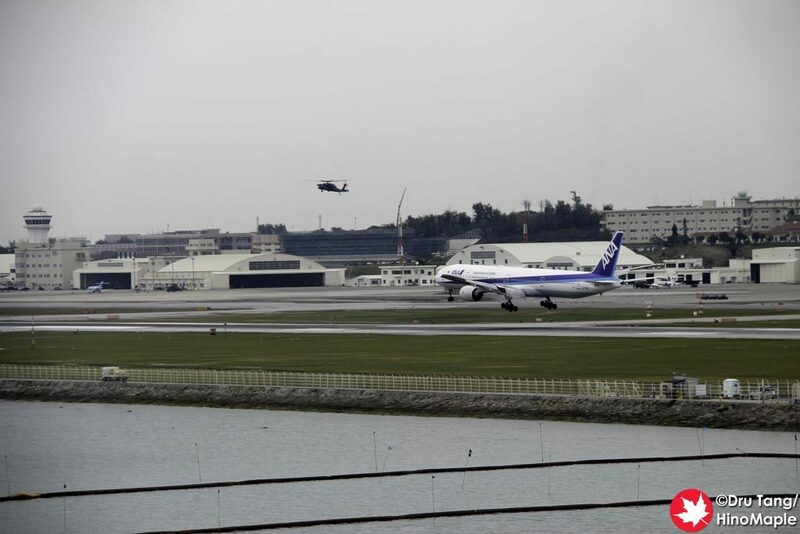 It is located just south of the runway for Naha Airport and it has become a popular tourist destination for locals. I can see why as there is very little public transport to the island; few tour groups visit; and they continue to develop this tiny island. 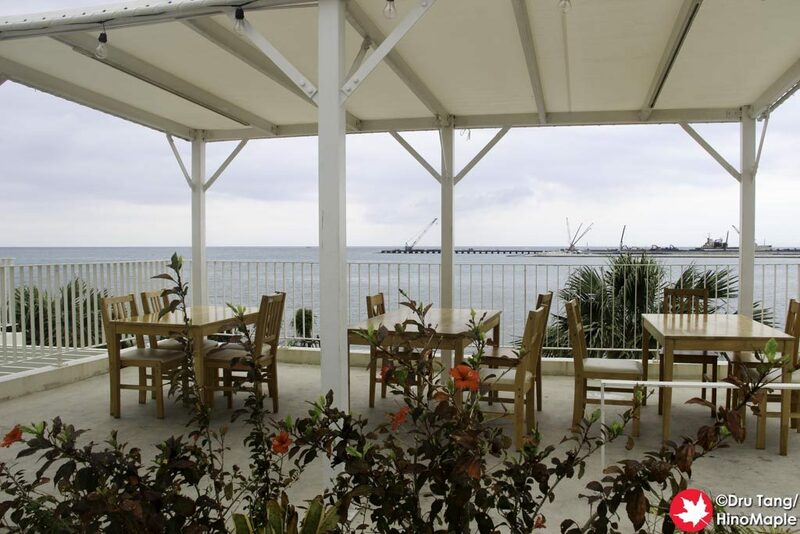 The main attraction of the island is the Umikaji Terrace. 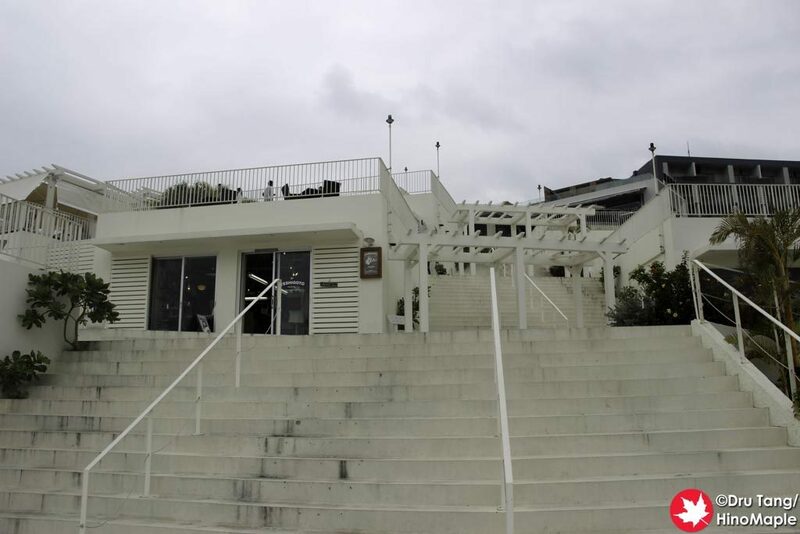 It is a set of shops located on the side of the hill facing the ocean. All of the buildings are white, or off white, creating a very brilliant look. It reminded me of images of Greece but Umikaji was almost too bright. Thankfully the day I visited was a little cloudy so it wasn’t as bright as it could have been. I heard that when they first opened they had a little trouble with the complex as people had trouble finding the steps. Everything was painted the same white colour in the bright sun the steps were nearly impossible to find as they blended into one solid colour. Umikaji Terrace is probably better known as a date spot for locals. 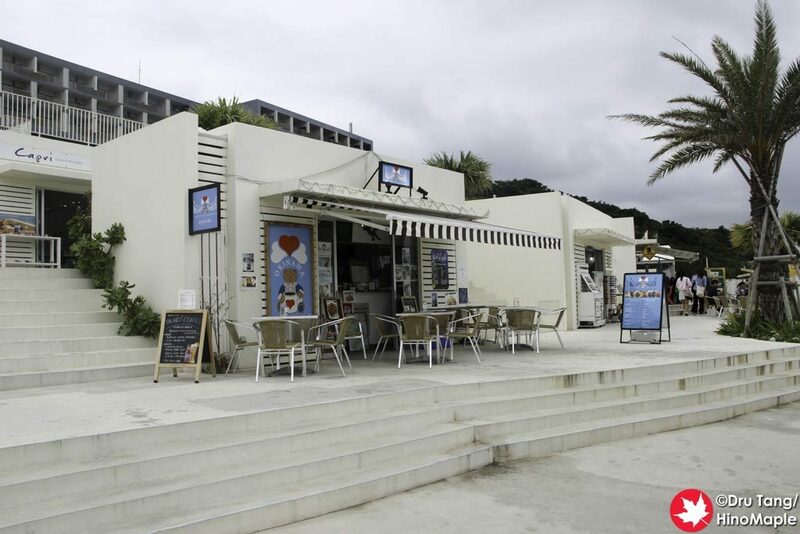 They have many cafes and restaurants with a few craft shops. There was even a hammock cafe that looked wonderful. Near the parking lot is a small gift shop, but be aware that most of the souvenirs are not from Okinawa. Most of the souvenirs came from all over Japan, but it was fun to look around a little and I wanted some of the gifts. 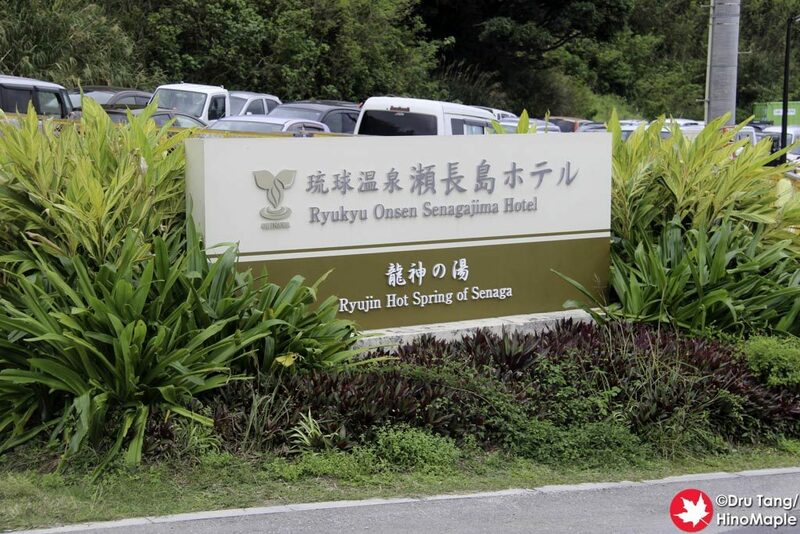 The other main highlight of Senaga Island is the Ryukyu Onsen and Senagajima Hotel. While I’m sure the hotel is very lovely, the onsen is also pretty popular and you don’t have to be a guest of the hotel to enjoy the onsen. The views are lovely and you can really enjoy looking out into the sea, especially at sunset. Do be aware that I was told the pool is a bit deep for an onsen and people will be able to see you looking over the ledge if you pull yourself up too high. One of the other highlights of Senaga Island is the airport. From Senagajima Hotel you can watch the planes arrive one by one, especially if they are landing from the south. You can also park under the runway and enjoy the planes landing overhead, but I just spent a few minutes enjoying a couple planes land from a small path near the Senagajima Hotel. There are many places you can enjoy the planes on the island so be sure to take the time to check it out. Senaga Island was a great place to stop and explore. I wish I had a bit more time to enjoy the shops at Umikaji Terrace but my friend was showing me around a little so I didn’t want to bother him with too many requests. I was just happy to be given a chance to see the island when I wouldn’t have been able to otherwise. 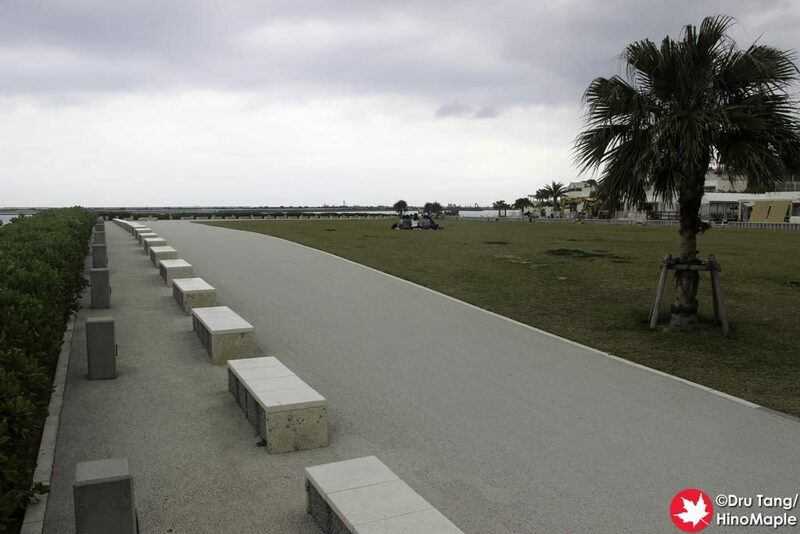 This entry was posted in Okinawa and tagged japan, Naha, Naha Airport, Okinawa, Senaga, Senaga Island, Senagajima, Umikaji, Umikaji Terrace by Dru. Bookmark the permalink.